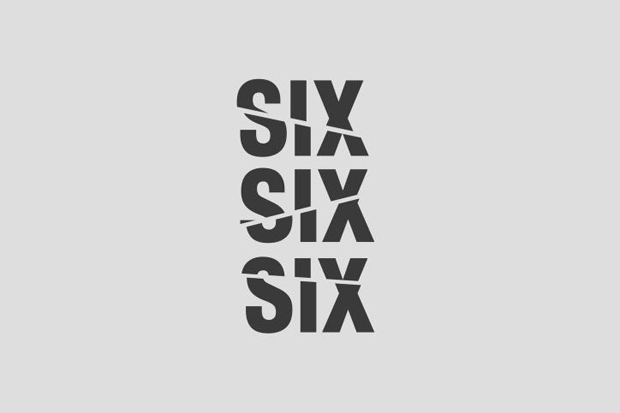 London collective Holy Ghost team up with Protein to create a truly unique and exciting photography exhibition titled SIX SIX SIX. 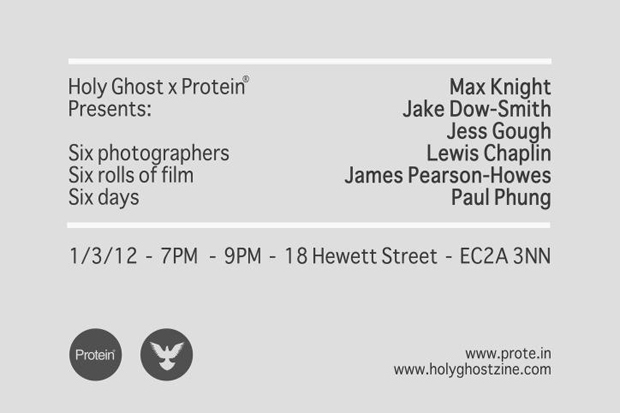 Holy Ghost are a london based creative collective founded by photographers Matthew Ritson and Alexander Mcluckie in 2008. Today it operates mainly as an online gallery space, showcasing works from artists all over the world. Alongside this, Holy Ghost curate physical galleries and publish a small limited edition zine aptly title Holy Ghost Zine. For their latest physical exhibition, they have come together with the folks at Protein to create what I can only describe as an exciting photographic exhibition concept. It plays by three simple and highly regimented rules; six photographers, six rolls of film, six days. To go into it into further detail, each photographer is given a single roll of 35mm film and given six days to use it all up, after this is done, Holy Ghost and Protein will develop the film and display every shot at the exhibition. The exciting part is that none of the photographers will get to see their work until the opening night, none of the film will be edited, and none of the collections will be curated. This is completely raw photography, featuring the works of Max Knight, Jake Dow-Smith, Jess Gough, Lewis Chaplin, James Pearson-Howes and Paul Phung. Personally, I’m excited as well as intrigued to see the final result, as I’m sure all of the parties involved are also. If all goes well, it should be a refreshing experience in an art form that has become very monitored since the introduction of digital SLRs and the ability to see every shot straight after taking it. Check out the short video at the bottom of this post where you will find several of the photographers involved introducing themselves and talking about the project. The exhibition will be displayed at the Protein gallery in East London and opens on Thursday, March 1st this week, from 7pm – 9pm. It will be on display until Tuesday, March 6th. Find the Facebook event here.